Cancer is a taker. It takes your health, your energy. It tries to take everything from you. We all know someone who has had to deal with this dreaded disease. How many times have you asked yourself, "Is there something I can do to help?" That is the origin of Monster and Sea and the 24. It was started by one man and grew into a community of people who live by the credo: "Go because you can." Go because you're healthy. Go because you can help. Go because if you don't, who will? 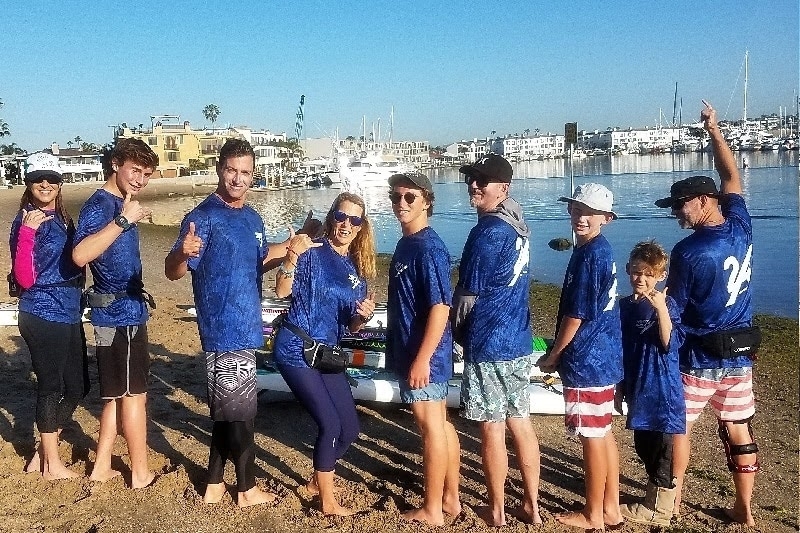 On April 13, 2019 at 8:00 AM, a team of paddlers will depart from 18th Street and Bay in Newport Beach, and we will paddle for 24 hours. Our goal is to raise funds that will go directly to individuals and families battling cancer. That money will go for medical care, food, transportation. Whatever the recipient needs to lighten the burden of cancer. And most importantly, the recipient will know that they are not alone, that there is an entire community that loves and supports them. Please join Veronica Ancheta-Wold, Maggie Adams, Burke Hammond, Stephen Baker, John Bland, Mark Schulein, Alan Buchanan, Bob and Daniel Thurmond, myself, and other paddlers on the water at 18th Street and Bay and in supporting this important cause. This is a community effort to help people in our community. Here's how it works: your donations go directly into a bank account administered by the team. When we learn of a person in need, we withdraw cash, place it in an envelope, and deliver it directly to the recipient. The recipient can then use that money for the many expenses that they incur that health insurance doesn't cover. Not a dime of your donation goes to any expenses incurred by Team Newport. This is 100% grassroots. It's a community getting together to help our own.